Overview of Ayurveda: A beginning to the basic concepts and fundamentals of ayurveda, including Vedic Sankhya philosophy, which explain the world view and the workings of Ayurvedic medicine; a beginning general idea of the field including definitions of health, Ayurvedic anatomy and physiology; causes and symptoms of imbalances, and the development of disease. Teaching in practical skills of assessment of prakriti and vikrti science in Ayurveda. 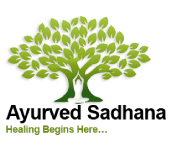 A beginning understanding of the basic healing methods of the Ayurvedic medicine like lifestyle, diet, therapeutic Yoga, Panchakarama basic course and basic understanding of Ayurvedic principles like lifestyle, diet, therapeutic methods, doshas, sub-doshas, agni, ama, malas, prana, tejas and ojas will be discussed in depth. The course includes references to rare textbooks, major and minor primary textbooks. Dates: Class is every Thursday, starting Thursday, August 15, 2019 through Thursday, September 12, 2019, 5:30 pm- 9:00 pm MT.